Microsoft and Orange SA today announced the launch of the world's first Windows Powered Smartphone. 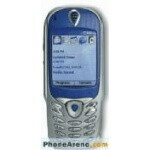 The SPV is produced by HTC and previously announced as codname "canary". The SPV, which stands for Sound Pictures Video combines high-resolution colour, speed and exciting applications such as full web access, easy-to-use wirefree email and instant messaging all on a small, stylish mobile handset.